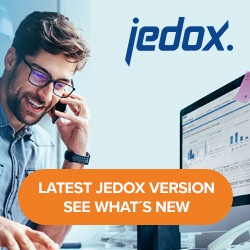 The Jedox In-Memory Database Server offers the ability to define holds on cube cells. When a hold is defined, the value in the cell is fixed and will not be affected by writeback operations. However, values can still be splashed on cells above a held cell in the hierarchy; in that case, the value changes are applied only to sibling elements of the held element. Holds obtain a continuous ID number after their chronological creation. Every user attempting writeback is affected by holds, and they carry over across sessions in the server. Multiple holds can be set on the same cell. Holds can be set from reports in both Jedox Web and Excel. Cell value holds can be defined using the context menu of a PALO.DATA* cell (unlocked) and in the Planning Assistant. You can also open the Hold Manager in the Modeler, under the Advanced section of a cube’s properties. Once defined, holds do not react to changes in dimension hierarchy. If the child element of an element that was held is moved into a different branch of a dimension hierarchy, that element will still be held. The hold on the consolidated element has to be reset (removed and set again) in this scenario. Similarly, if an element is added as a child to a held, consolidated element, it will at first not be held. If an element that was explicitly held is deleted, the hold is removed. If the element was only part of a hold with multiple other elements from the same dimension, the hold is kept; only the deleted element is removed in this case. String cells can not be held. Holds are also accessible from Jedox Integrator via Groovy scripting. Cell D8 isn’t affected by any hold. Cell C8 is only affected by one hold: this cell has children in “East” region. Splashing another value in C8 will not change the value in E8. The Hold Manager displays the cell coordinates, the creation time, and the creator of the hold. The message only shows the first hold that blocks the writeback operation, even if there are several holds that would block it. To delete holds, select them in the Hold Manager and click Release.